that hath the Son hath life; and he that hath not the Son of God hath not life." 1 John 5:12. Why were the first guilty pair driven from the tree of life? "And now, lest he put forth his hand, and take also of the tree of life, and eat, and live forever." Gen. 3:22. What was done to keep man away from the tree of life? "So He drove out the man; and He placed at the east of the garden of Eden cherubim, and a flaming sword which turned every way, to keep the way of the tree of life." Gen. 3:24. How are all men in the natural state regarded? "We all... were by nature the children of wrath, even as others." Eph. 2:3. If the wrath of God abides on a person, of what does it deprive him? "He that believeth not the Son shall not see life; but the wrath of God abideth on him." John 3:36. Through whom is the sinner saved from wrath? "Much more then, being now justified by His blood, we shall be saved from wrath through Him." Rom. 5:9. When the sinner has been converted, what then is his prospect for life? "For ye are dead, and your life is hid with Christ in God. When Christ, who is our life, shall appear, then shall ye also appear with Him in glory." Col. 3:3, 4. The word immortal occurs but once in the English Bible (1 Tim. 1:17) , and is there applied to God; is any other said to have immortality? "Who is the blessed and only potentate, the King of kings and Lord of lords: who only hath immortality." 1 Tim. 6:15, 16. How is this desirable boon brought to light? "But is now made manifest by the appearing of our Saviour Jesus Christ, who hath abolished death, and hath brought life and immortality to light through the gospel." 2 Tim 1:10. 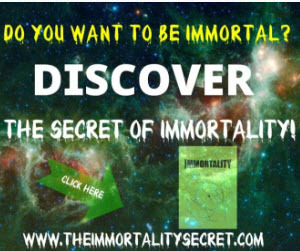 How does man obtain immortality? "To them who by patient continuance in well doing seek for glory and honor and immortality, eternal life." Rom. 2:7. When will the faithful receive immortality? "Behold, I show you a mystery: We shall not all sleep, but we shall all be changed, in a moment, in the twinkling of an eye, at the last trump; for the trumpet shall sound, and the dead shall be raised incorruptible, and we shall be changed." 1 Cor. 15:51, 52. What is then to be swallowed up? "So when this corruptible shall have put on incorruption, and this mortal shall have put on immortality, then shall be brought to pass the saying that is written, Death is swallowed up in victory." 1 Cor. 15:54. How is this victory gained? "But thanks be to God, which giveth us the victory through our Lord Jesus Christ." 1 Cor. 15:51.